It is with great pleasure that we are announcing the promotion of Faye Manalansan from Recruiter Trainee to Recruiter II. If there is anything that would perfectly describe Faye, it would be “reliable”. Faye literally started from scratch. 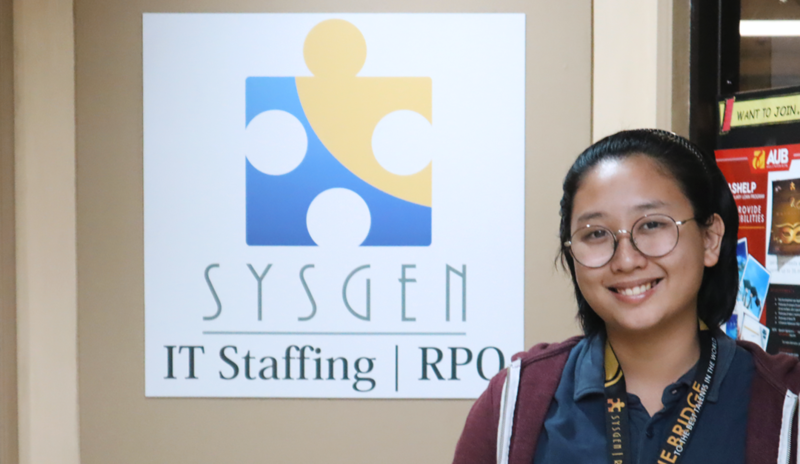 A graduate of the new hire training program, Faye pushed herself to learn a lot about the RPO industry. Her first assignment was with a very complicated IT account. She may have felt the fear of working on unfamiliar requisitions, but she took it as a challenge and succeeded. This goes to show that mindset really is everything. To succeed in anything, one must have the right attitude and is willing to go above and beyond. Faye experienced moving from one account to another. This usually affects other recruiters, but Faye showed maturity and mental fortitude. She accepted being reassigned and saw it as a learning opportunity. On her 2nd month with her current account, she was nominated by her client to take on a leadership role. They didn’t feel the need to look at her age because they felt that she is a very strong recruiter who can influence her team positively. Faye proves time and time again that hard work and right mindset surely pay off. She is a story of treating work as an opportunity to grow and learn. A critical example of the fact that growing doesn’t always mean ‘tangible growth’ but could also be measured in terms of improvements competency wise. Faye is a proof that maturity and good work ethic don’t come with age but rather, results of the choices we make for ourselves. Choosing to be excellent consistently is what makes people successful. We should take these lessons from Faye. Here at SYSGEN RPO, we reward employees like Faye, who exceed both the organization’s and the client’s expectations.